Groin injuries are among the most frequent ailments in the sports of hockey and soccer. It’s now estimated that approximately 1 in 5 elite male soccer players will incur a groin injury each season. With respect to soccer players, the adductor longus is a groin muscle that is injured in approximately 90% of these cases. The mechanism behind these injuries is often thought to result from kicking or change of direction movements. 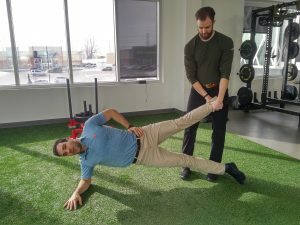 A recent study published in the British Journal of Sports Medicine (BJSM) looked to examine when these injuries typically occur, with the hopes that we may then be able to recommend prevention strategies to athletes, ranging from elite to recreational. The study examined national level soccer players who presented to a sports medicine hospital, and additionally had video footage of their groin injury. From there, the medical team and researchers examined both the players as well as the video footage to determine the specific movement that brought on their groin injuries. The players included in the study consisted of all position groups, with midfielders making up just under half of the total population. Results from the study indicated that player actions at the time of injury consisted of: change of direction, kicking, reaching for the ball, and jumping. Interestingly the majority of the injuries were sustained in the first 30 minutes of play, and did not involve contact with an opponent. It was further determined that change of direction, kicking, and reaching were ‘high-risk’ actions for adductor longus injuries. Much like hamstring injuries, it was concluded that these groin injuries are more likely to occur when the adductor longus is lengthening (or stretching), which typically occurs during each of the high-risk actions (an example of the ‘lengthening’ would be to think of your groin tightening as you wind up for a kick – known as the leg cocking phase). These findings suggest that the groin is most susceptible to injury during explosive movements such as kicking, which are incredibly common on a soccer field. Luckily, another recent publication by Haroy et al (2018) in BJSM provide some answers to what we can do to try to prevent groin injuries. This research group examined hundreds of elite level soccer players and placed them into an exercise group, and a control group (who just went about their business as they normally would). 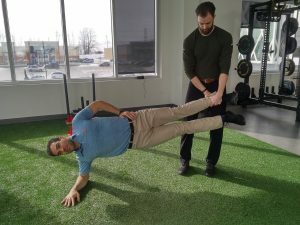 The exercise group performed an Adductor Strengthening Program, which consisted of but a single exercise. As you can see in my demo pics, the exercise can be tailored for your strength and capabilities (with 3 being the hardest and 1 the easiest). Among the almost 500 athletes who were a part of the study, 13.5% of those in the exercise group sustained groin injuries, compared to 21.3% of the control group. 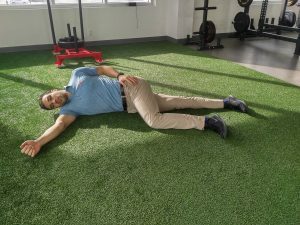 This represents a reduced prevalence of approximately 41% in the athletes who added this one exercise to their training regime. It was one of the first studies to show these rates of injury reduce so much, while only adding in one single exercise. 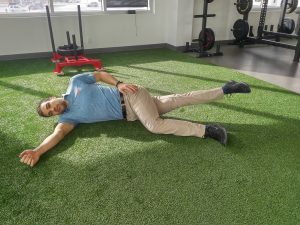 The great thing about these results is that an exercise like the Adductor Strengthening Program takes less than 5 minutes to perform, and can easily be added into a training program or exercise regime in general, regardless of your skill or competition level. Serner A, Mosler AB, Tol JL, Bahr R, Weir A. Mechanisms of acute adductor longus injuries in male football players: a systematic visual video analysis. Br J Sports Med. 2019 Feb 1;53(3):158-64. Harøy J, Clarsen B, Wiger EG, Øyen MG, Serner A, Thorborg K, Hölmich P, Andersen TE, Bahr R. The Adductor Strengthening Programme prevents groin problems among male football players: a cluster-randomised controlled trial. Br J Sports Med. 2019 Feb 1;53(3):150-7. 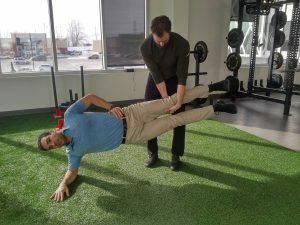 Offering Chiropractic Services, assessments, treatments and plans at the Armoury Sports Medicine Clinic in Waterloo, ON.